ex. Diesel, Truck, 4X4, Duramax, ect. At Show Me Auto Mall, we strive to provide truly exceptional sales and service to ALL our customers. It is our mission to deliver the best service that comes with owning a car from Show Me Auto Mall. We are able to better serve your needs through customer feedback. Thank you for taking the time to submit your review! © 2019 Show Me Auto Mall. All rights reserved. Tax, title, license and dealer fees (unless itemized above) are extra. Not available with special financing. Price is plus any dealer installed accessories, administrative Fee and other applicable state titling fees or taxes. Price listed is the financed price. If you are paying cash or financing with a lender outside of Show Me Auto Mall please add $500 to the listed price. Price listed also is if you are trading in a vehicle worth at least $2,500. If you are not trading in a vehicle with a value of $2,500 or more then $500 will be added to the listed price. Prices, features, and options listed may contain errors due to vendor or electronic errors. 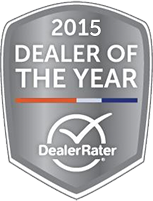 Please ask to speak with a Show Me Auto Mall Sales Consultant for any questions. EPA Estimates Only.